Earlier this week I shared this look on Instagram and you might have noticed that I used a LIKEtoKNOW.it link. LIKEtoKNOW.it is powered by rewardStyle and it allows you to shop my outfits and other product recommendations. You can shop my feed from any browser using my LIKEtoKNOW.it link: www.liketoknow.it/whatjesswore. 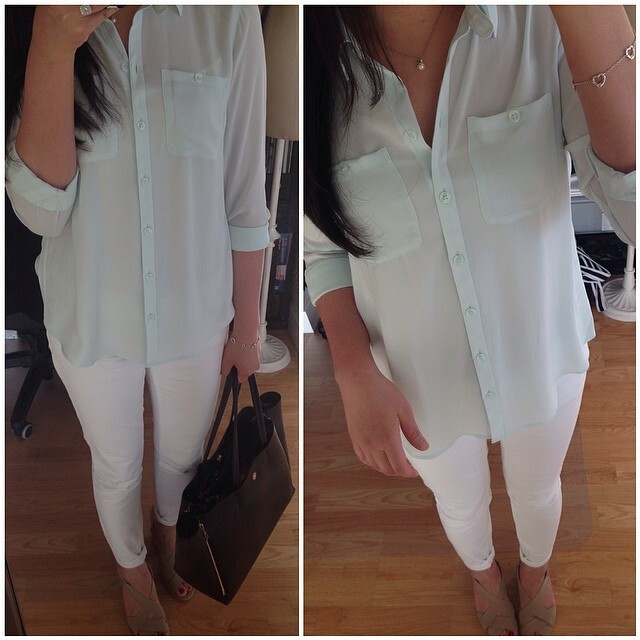 If you install the LiketoKNOW.it app you can take a screenshot and get immediate outfit details via the app. The app also allows you to search by my username and follow me so you never miss a post! If you don’t have the LIKEtoKNOW.it app you can always shop my posts from the Insta Shop link found at the top of my blog or via the link in my Instagram profile. rewardStyle is a commission based affiliate program which means that I earn a commission which varies by retailer if you make purchase through my link and do not return the item(s). For this reason it’s in my best interest to provide honest product reviews. Note: I only receive credit for the sales that I influence if my link is the last one you clicked on before making a purchase on a retailer’s website. Thank you in advance for your support! 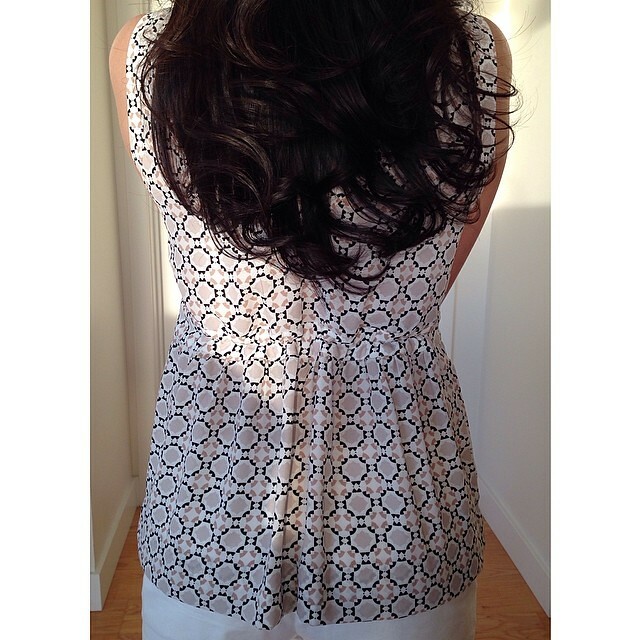 While I was on vacation last week my mom helped me create some shape to this pretty tile print top (review here). There are many of these tops available in the LOFT sales racks so maybe now’s the time to give it another chance. My mom used the “cheaters way” to gather the back of the top as seen in the clip below. It’s a quick and cheap alternative to give shapeless tops some waist definition. 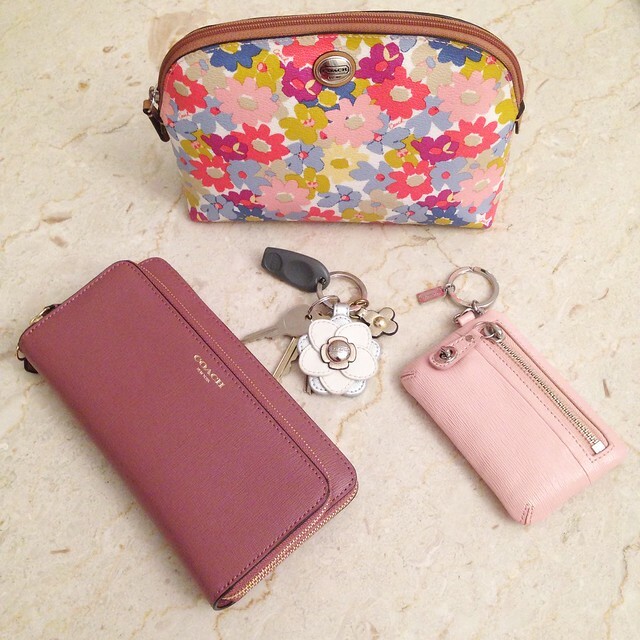 I finally received my latest Coach Factory order in the mail today! There was some mishap where my package was sent back to the sender because silly me forgot to include a house number when trying to send it to my parents’ place. I was pleased that their customer service representatives were very quick and efficient. They even shipped it back to my home address free of charge even though it was my error with no questions asked. 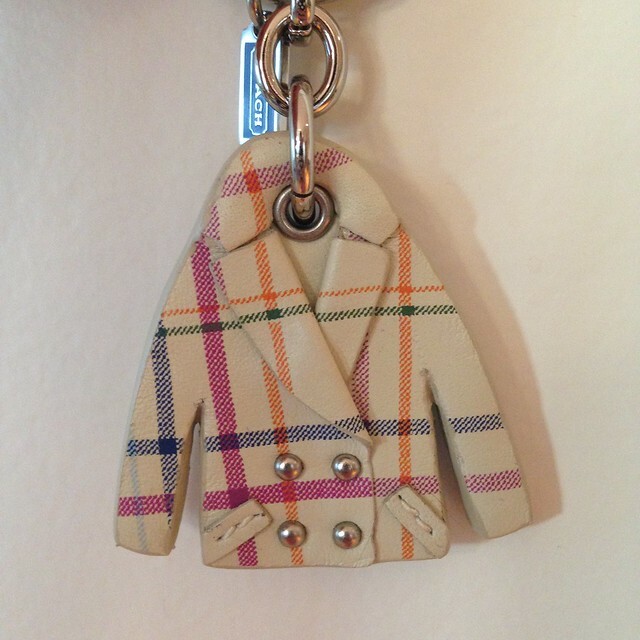 I loved everything in my recent purchase except for the tattersall coat keychain. I’ve been eying it forever but it turns out it wasn’t as cute in real life. It was roughly made and darker than pictured (see it up close here). Dislaimer: Clicking on rewardStyle or LiketoKNOW.it link may result in commissions.